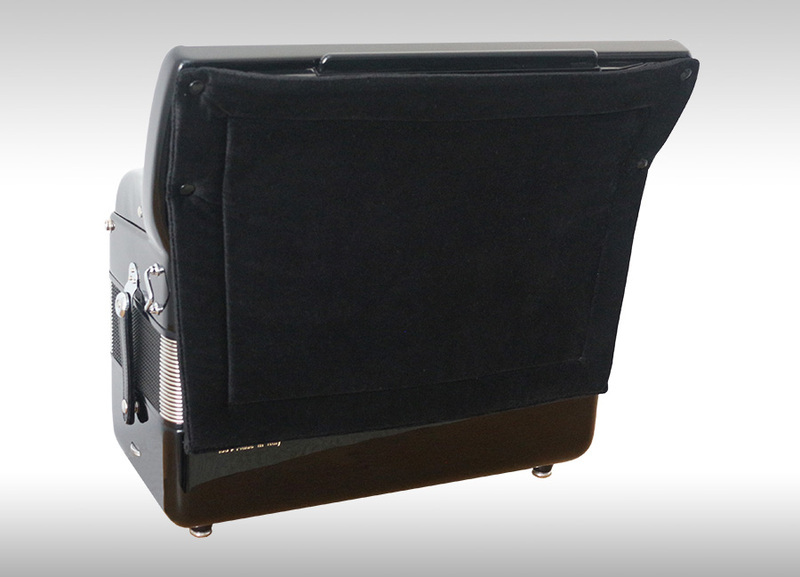 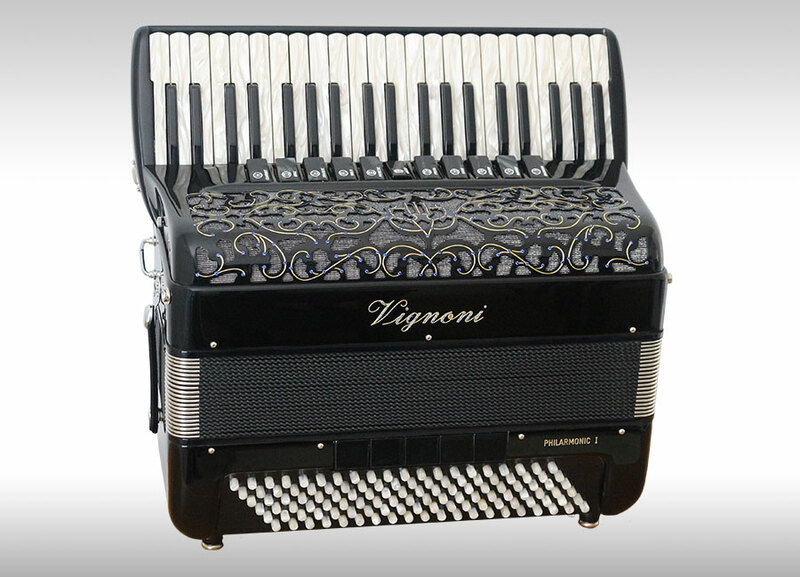 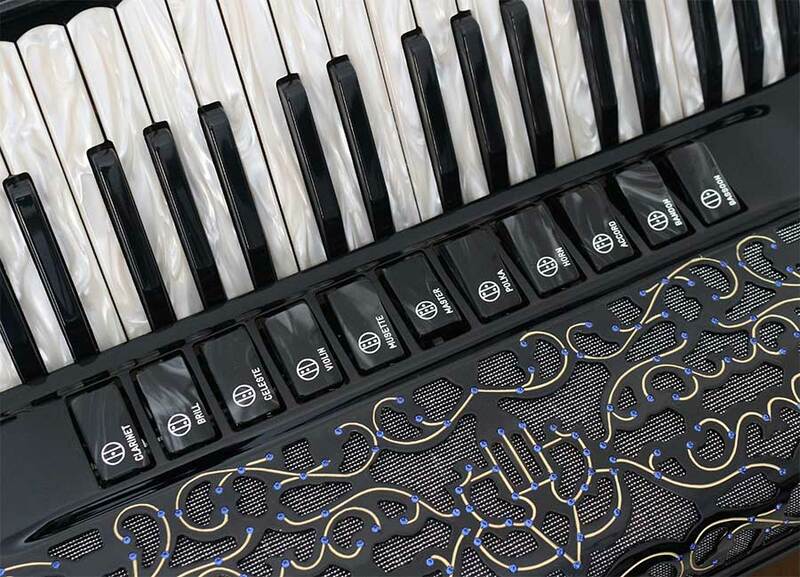 A superb 4 voice, compact, lightweight, 120 bass French musette piano accordion. 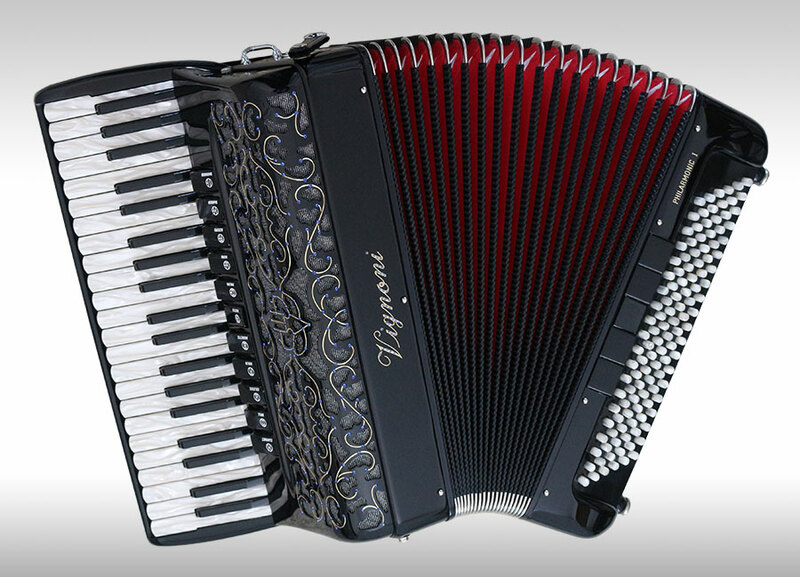 This eye-catching accordion features gold inlay and blue jewelled grille and name decoration, complimented by red/black bellows. 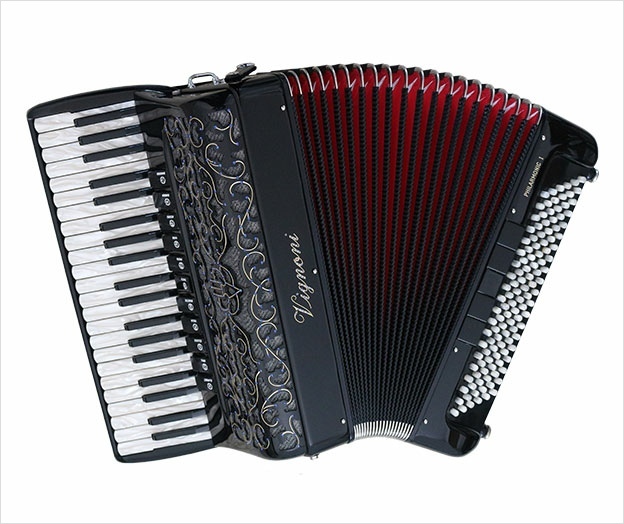 With a smooth fast action, responsive hand finished reeds and great tone, this fine accordion is well suited to French musette, traditional, and popular styles of music.